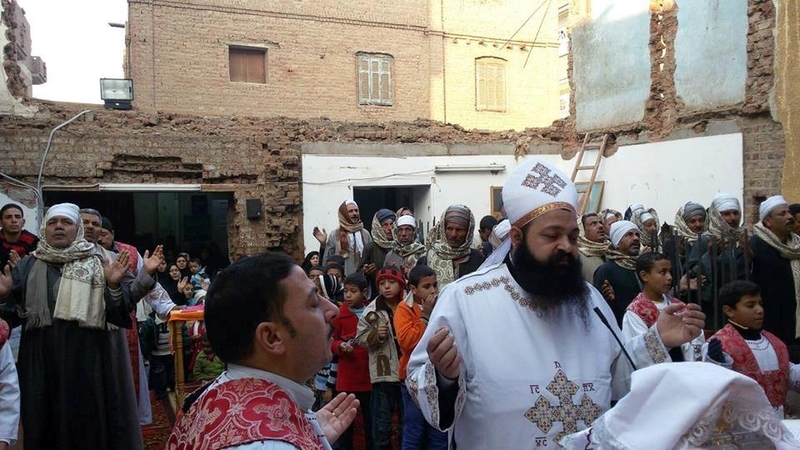 On February 1, Tharwat Bukhit, a Coptic Christian member of Egypt's parliament, announced"there are approximately 50 churches in Egypt closed for reasons of security." Why are Christian churches being "closed for reasons of security"? Whenever Christians attempt to repair, renovate, or build a church -- all of which contradict Islamic law -- the same chain of events follows. Local Muslims riot and rampage, and local (Muslim) officials conclude that the only way to prevent "angry youths" from acts of violence is to ban the church, which is then declared a "threat" to security. Such events have occurred repeatedly throughout Egypt. For instance, Abdel Fattah Sisi, Egypt's president, agreed to build a memorial church in the village of Al-Our, which was home to 13 of the 21 Christians beheaded in February 2015 by the Islamic State in Libya. The families of the victims still live there. After Islamic prayers on Friday, April 3, 2015, Muslim mobsfrom Al-Our village violently protested Sisi's decision. They yelled that they would never allow a church to be built. They chanted, "Egypt is Islamic!" and then attacked a Coptic church with Molotov cocktails and stones. Cars were set on fire, including one belonging to the family of a Christian beheaded by the Islamic State. Several people were seriously hurt. During a 25-minute interview on Arabic satellite TV, Bishop Agathon revealed how, after an official council meeting with government leaders on the possibility of building a church, one of the authorities contacted the Islamic sheikhs of the village. The official asked the sheikhs if they stood "with the Coptic church or with the State?"